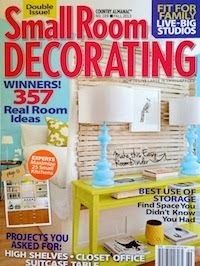 SANITY FAIR: Cheap and Chic Decor? Try Groceries. Cheap and Chic Decor? Try Groceries. Decorating with nature - or in this case the produce aisle. 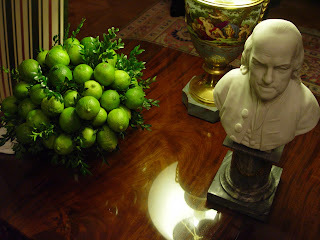 A lovely (and inexpensive) arrangement of lime on an Abigail Adams table in the White House's green room, Christmas 2005. S - you inspired me! I just created a new dining room table centerpiece - a chunky square glass bowl filled with bright orange clementines. Its such a cheery bright spot in the dreary winter. thanks for the idea!